Community service work may be done at any non-profit organizations with court approval. If you have any questions regarding your community service work, please contact your Probation Officer immediately. If you do not have a Probation Officer, then following the instructions below. Print out the timesheet to take to the agency in order to ensure accurate records are kept of your community service work. Must be turned in no later than one week prior to your court date in order to be verified in time for your next court appearance. If you are on probation, your completed community service work should be turned in to your Probation Officer. 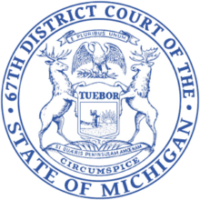 If you are not on probation, your completed community service work should be turned in to the Probation Department at 630 S. Saginaw Street, Flint, Michigan. COMPLETED COMMUNITY SERVICE WORK HOURS MUST BE TURNED NO LATER THAN ONE WEEK PRIOR TO YOUR RETURN TO COURT DATE.